Sparkling, graceful and tinged with an ineffable melancholy, Chopin's waltzes succeed in conveying an air of mystery while retaining their ballroom splendor. His scherzos are truly novel metamorphoses of the formtumultuous emotional outpourings that frequently attain tragic heights. Prepared by Carl Mikuli, Chopin's student and teaching assistant, this edition of these innovative works is particularly authoritative, reflecting Mikuli's knowledge and understanding of Chopin's music. 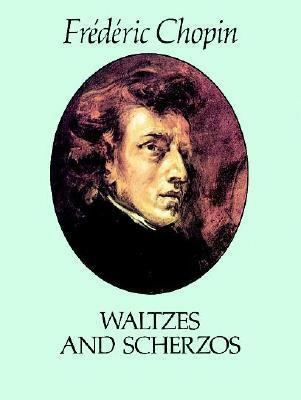 This volume includes: Waltzes Op. 18 Op. 70, Nos. 13 Op. 34, Nos. 13 E Minor, (Op. posth.) Op. 42 E Major (Op. posth.) Op. 64, Nos. 13 Op. 69, Nos. 12 Scherzos Opp. 20, 31, 39, 54 Republication of works from an authoritative early edition. New unified table of contents.Chopin, Frederic is the author of 'Waltzes and Scherzos', published 1982 under ISBN 9780486243160 and ISBN 0486243168. Loading marketplace prices 5 copies from $2.82 How does the rental process work?